The new league was christened the National Hockey League. The first US team to become part of the league was the Boston Bruins who joined in 1924. Today, the NHL has 30 teams from Canada and the United States. Modern ice hockey has changed little from the original rules established in the 1870s. The biggest changes have been in the number of players and the development of equipment. 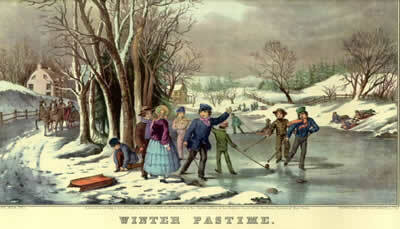 By the mid 1890s, the number of players on the ice for each team had dropped from nine to seven. This changed reportedly happened by accident. A team showed up two men short for a game at the Montreal Winter Carnival. The other team agreed to play with just seven men. The players found they preferred the smaller squads and the change soon became standard. When the NHA formed in 1909, it used six-man sides. The NHL adopted this number at its inception. Netting was first added to hockey goals in the early 1900s to stop the puck and show that the puck had actually passed between the goal posts. What’s the Well-Equipped Hockey Player Wearing this Season? Today’s hockey players from the junior leagues to the NHL wear layers of protective padding from their shin guards to their helmets. 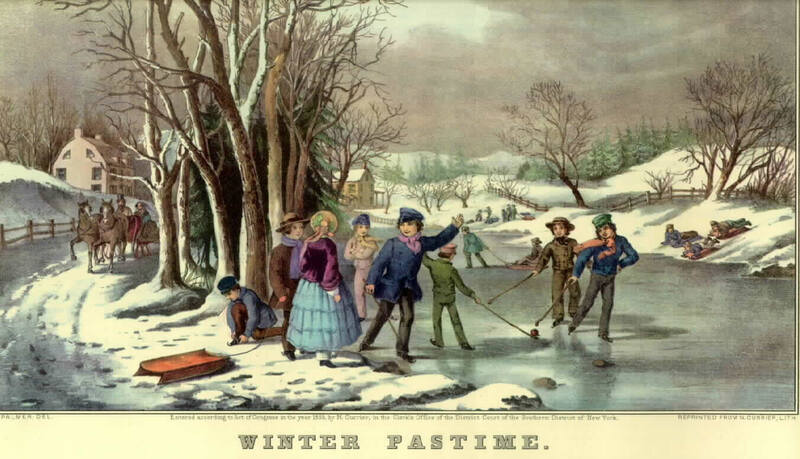 Early hockey players wore very little padding. Goalies were, not surprisingly, the first players to wear pads. Goalies originally used cricket pads to protect their shins and knees. Other players began to wear shin pads and gloves to protect themselves from flailing sticks and flying pucks. Many players stuffed newspapers under their pads for extra protection. Jacques Plante of the Montreal Canadiens was the first goalie to wear anything to guard his face. In 1959, he wore a mask to cover a cheek that had been struck by a puck. The following season, Plante began wearing a facemask full time when he was in the net. Other goalies began wearing masks but it would be 14 years before all NFL goals protected their faces. Helmets were not part of hockey gear until the 1970s. Before that time, only players with head injuries wore headgear. In 1979, the NHL began requiring that all players new to the league wear helmets. Players who were already in the league were allowed to play bare headed. The last NHL pro to play without a helmet was Craig MacTavish of the Edmonton Oilers who retired in 1997. Ice Hockey is not just a North American Sport. In the early 1900s, leagues were playing hockey in Britain and parts of Europe. In 1910, Britain won the first European Ice Hockey Championships. The 1920 Olympics in Antwerp Belgium became the first to include and ice hockey competition. Canada won the first four Olympic gold medals in the sport. In 1930, the first ice hockey world championships were played. The championships are now played every year except when the Olympics are held. After World War II hockey took hold in the Soviet Union and the Russians became a force to reckon with on the ice. The Russians won their first Olympic ice hockey gold in 1956, just a decade after the game became an organized sport in their country. Women have been playing ice hockey nearly as long as men. The first recorded women’s hockey game was played in 1889 in Ottawa. Women’s hockey leagues thrived in Canada through the 1930s. After World War II, interest in the women’s game declined until the 1960s. In the 1980s, women’s hockey experienced a growth spurt. The first women’s world championships were played in 1990. The National Collegiate Athletic Association added women’s hockey as a sanctioned sport in 1993 and women’s ice hockey made its Olympic debut in 1998. The US team won the first gold medal.